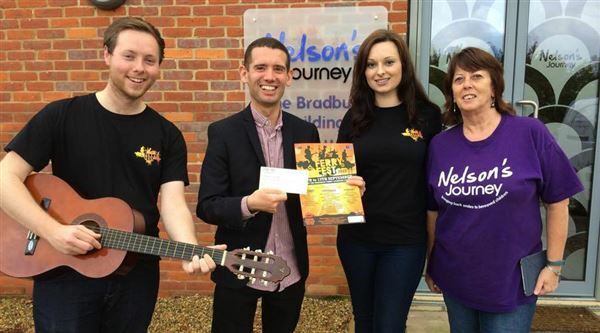 Congratulations to former Home First intern James Maas who has raised a total of £2648.65 for 5 local charities, including two nelsonspirit charities, Nelson's Journey and Musical Keys. James organised Ferryfest, a live music festival featuring local bands, which took place at the Reedham Ferry, Norfolk, on the 11th-13th September. The festival has been running for 5 years, and this year was bigger than ever. Last week James visited Nelson's Journey at their headquarters, Smiles House, to present them with their donation. We look forward to Ferryfest returning next year on the 9th-11th September!